First of all we need to decide what we want to backup. 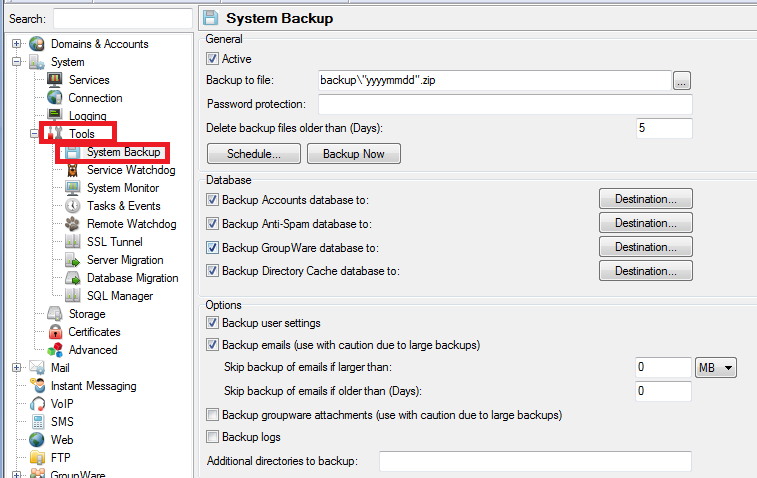 Go to the Admin console > System > Tools -> System Backup. 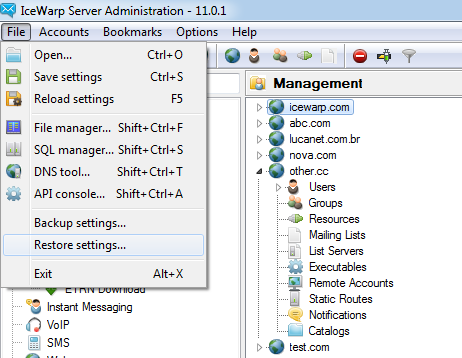 Last step is to uninstall Icewarp Server via Programs and Features in Control Panel and delete the Icewarp folder if still present. Install the exact same version of IceWarp server in the same installation path than previous installation. Restore your configuration from the ZIP file (Admin console menu > File > Restore settings). Go back to the Admin Console > System ->Storage and choose the Directories tab. In Mail Path, verify the mail path. Check every functionalities to make sure eveyrthing is working as before.